When you are trying to stay on track but it’s 5 p.m. and you need some extra energy to survive. 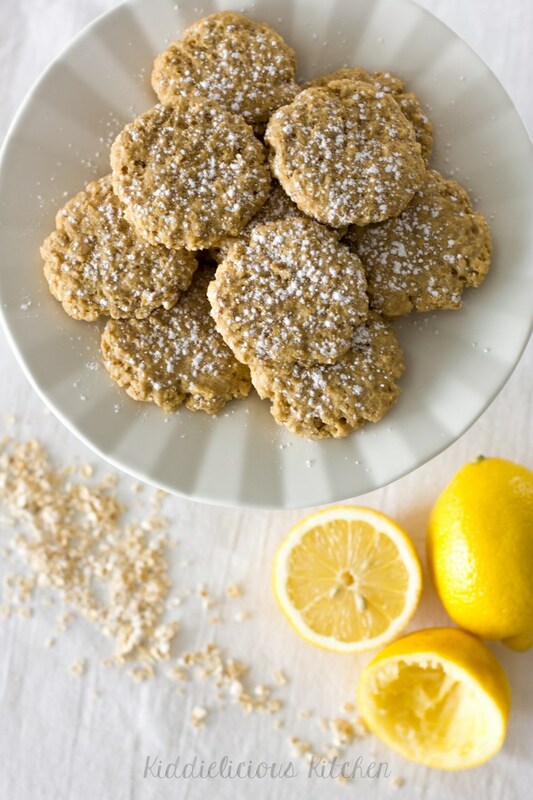 Reach for one of these sweet snacks, they’ll satisfy your hunger without the forthcoming sugar crash! Add the dates to the food processor and crush until broken apart and sticky (about 30 seconds). Add the walnuts and process until pulverized and properly mixed with the dates. 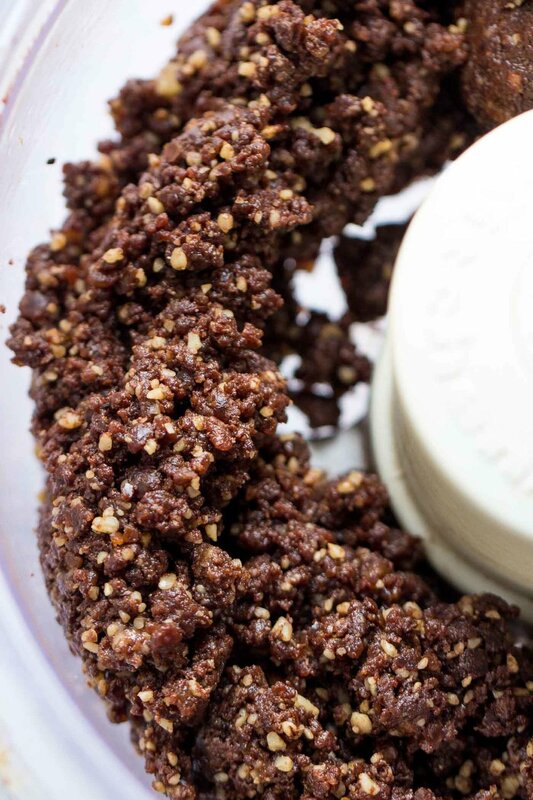 With the food processor running, add the remaining ingredients (minus quinoa crispies and the chocolate) and triturate again until it begins to form a dough. Pulse in the quinoa crispies. 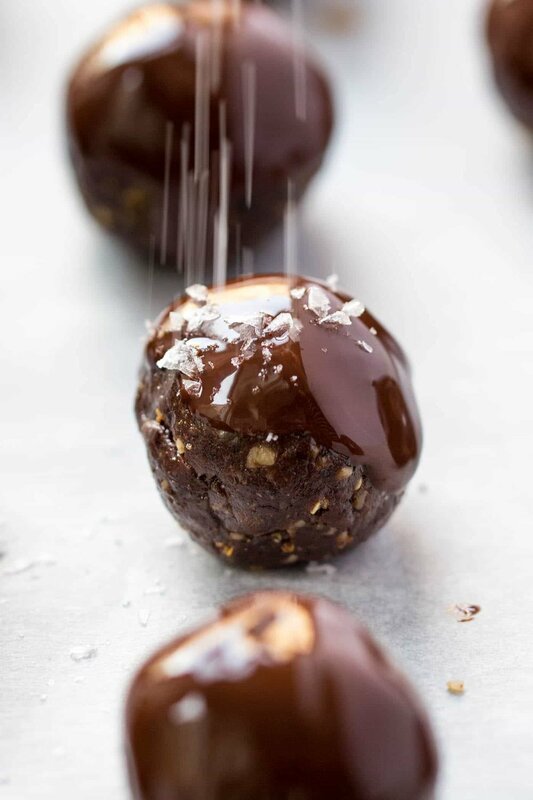 Create golf ball-sized truffles from the dough (around 20 – 24 balls). Place the balls on a baking sheet and set aside. Melt the chocolate bar over a double boiler. Once melted, dip the top of each ball into the melted chocolate and return them to the baking sheet. Sprinkle with sea salt flakes while the chocolate is still shiny. Keep the balls in the refrigerator for 30 minutes until chocolate has set, then serve. *They last up to 5 days in the refrigerator. 1/4 cup quinoa crispies (home-made or buy it example ). Preheat the oven to 150ºC (300F). 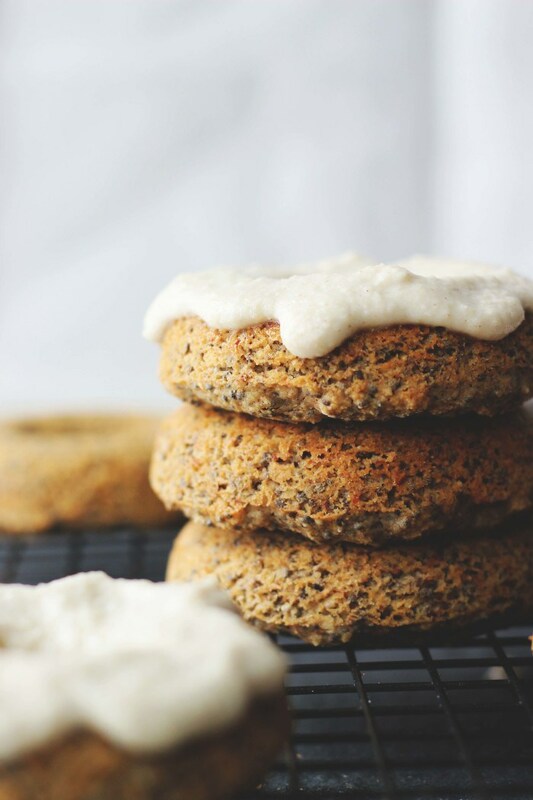 In a medium bowl, add the following ingredients: flours, baking powder, salt and cinnamon, chia seeds, quinoa crispies, maple syrup, milk, and vanilla and stir until equally combined. Place the dough into a greased doughnuts pan. Bake for 22-25 minutes. Leave them on the pan for about 10 minutes and then invert onto a cooling rack. Wait! Still need to put the cashew cream! Combine all ingredients in a food processor and blend until smooth, adding water or almond milk as needed to smooth out. Refrigerate when not using. 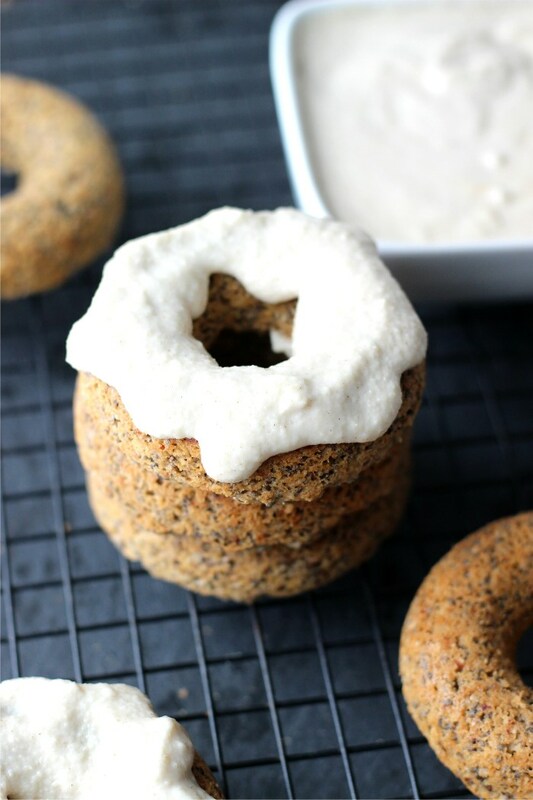 Put the cashew cream on the doughnuts, and ENJOY! In a medium bowl, add the following ingredients (dry): quick oats, oat flour, baking powder and salt. Mix in another bowl all the wet ingredients: coconut oil, egg, vanilla extract, honey, lemon juice and zest. Combine the dry and wet ingredients and stir until equally combined. Leave the dough in the refrigerator for 30 minutes. Preheat the oven to 160ºC (325F). Prepare a baking sheet with baking paper. Divide the cookie dough into 12-15 rounded scoops onto the prepared sheet, and flatten using a fork. Bake them in the oven for 10-12 minutes.